The general schematic network diagram would look something like this. The motor is connected to the positive terminal of the battery via a diode that manages back EMF when the motor is suddenly stopped (ie you stop cranking). A small switching diode like the 1N4148 works well for this tiny amount of voltage and current we’ll be seeing. 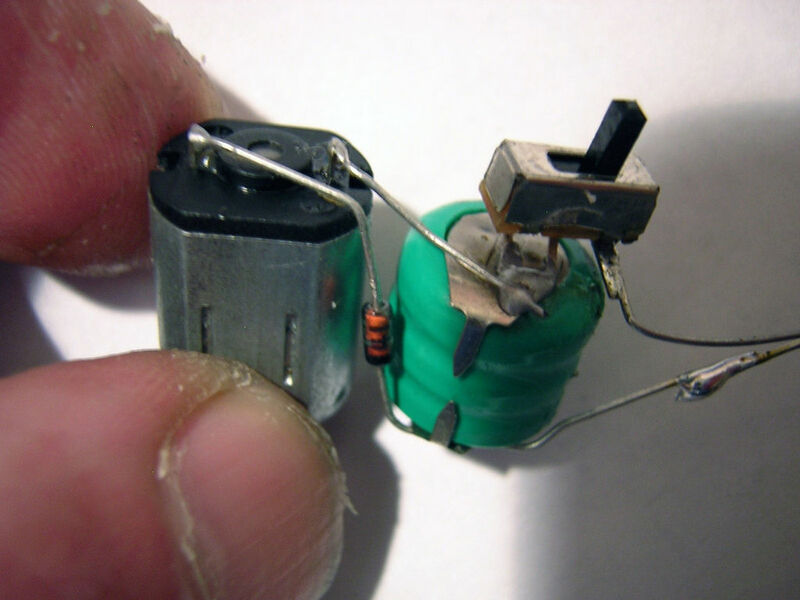 Attach a long wire/lead from the positive terminal of the battery. 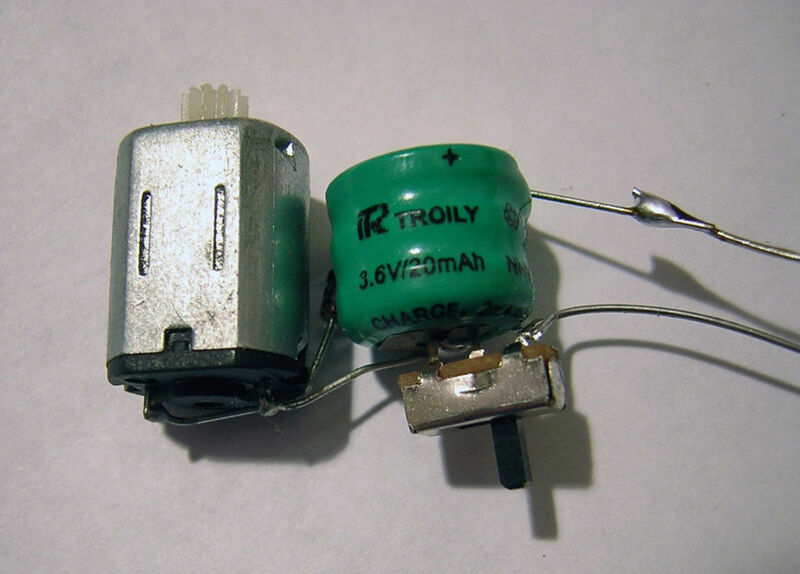 The negative terminal of the motor is attached to the negative terminal of the battery and next a slide switch is soldered on to conserve energy/power when the battery is not in use. Sure, we can wind it up and recharge a bazillion times, but why when we don’t have to? Attach a long wire or lead from the “on” end of the slide switch. The schematics show a test setup with a motor and all requirements built in. 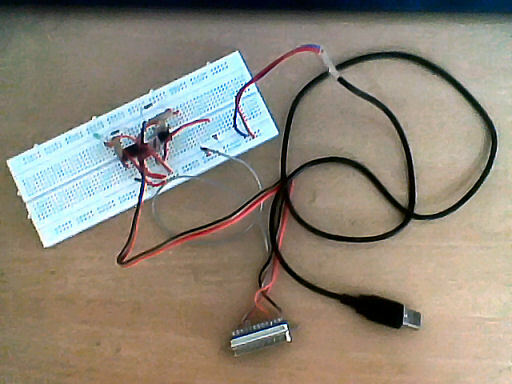 You can build this on a bread board for your tests or you can power some other board that you may already have, as I did with my ATtiny Stick Development Board that I built myself. 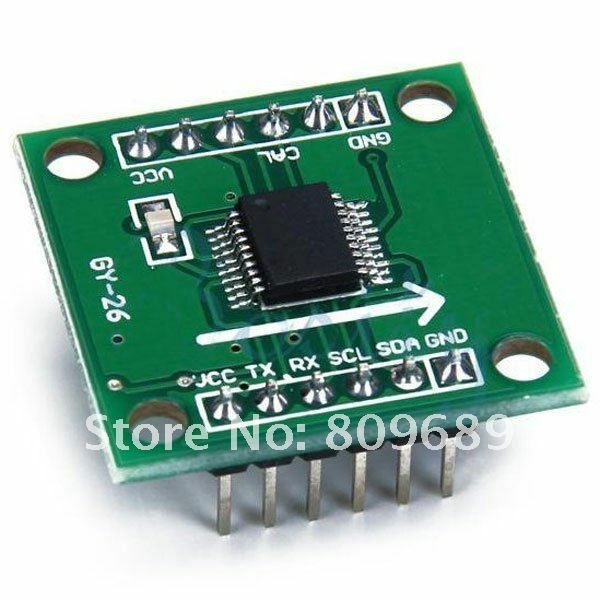 I also use a 3.3V zener as a voltage regulator “just in case,” to protect the AVR. As always, bypass caps from Vcc to GND on all AVRs.